As many western companies rely on the Chinese market for growth and many others have Chinese shareholders, an important part of the world relies on the Chinese economy, therefore what happens in China is important for all of us. Here‘s an interesting analysis of what is going on right now in China, mainly deconstructed some exaggerations present in the media these days. Apple will continue losing market share and Apple shares will continue dropping. Here’s a chart from Business Insider. 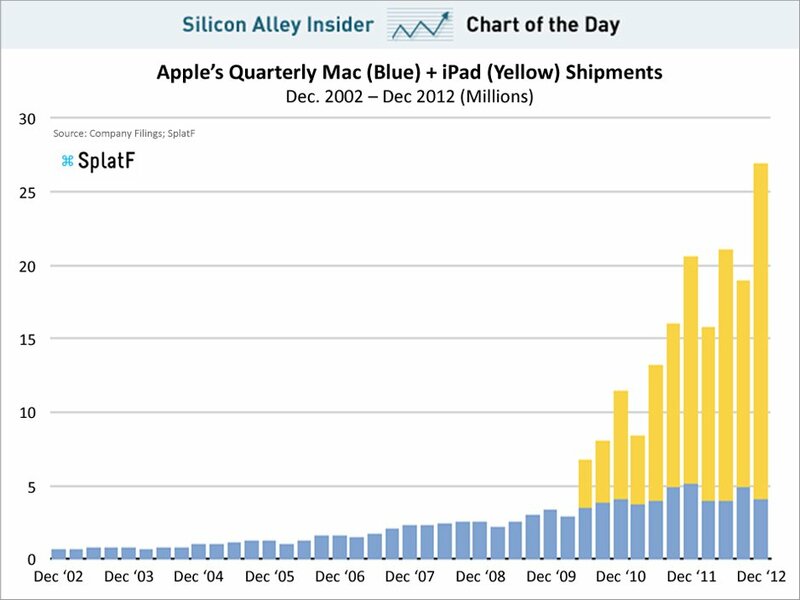 This chart will basically tell us that Apple’s latest growth was driven by the ipad. Only that there are some new kids on the block on the tablet market and Apple drops beyond 50%. Voi stiti povesti despre criza aia mare? Eu stiu povesti despre criza aia mare din Romania. Criza aia cand se cumpara sacul de faina cu sacul de bani. De multe nu era faina, erau cereale. Dar atunci era vremea in care dintr-un sac de grau scoteai jumatate de sac de faina. Astazi traim vremea in care dintr-un sac de grau scoti doi saci de faina. Criza alimentara reala nu ne paste la colt pentru ca alimentatia poate fi inlocuita.